← Meet Your New Best Friend at Adoptapalooza on September 7! 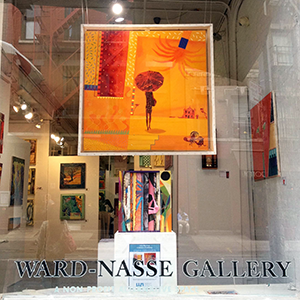 New Yorkers are invited to a one-of-a-kind art event hosted by the Ward-Nasse Gallery to benefit the Mayor’s Alliance for NYC’s Animals (the Alliance), a private non-profit coalition of more than 150 rescue groups and shelters working together to save the lives of NYC’s homeless animals. More than 1,000 artworks — including figurative, abstract, political, giclée, caricature, and more — will be on view and available for sale, with 50 to 100 percent of the proceeds being donated to the Alliance. Also, a handful of small dogs will be on-site and available for adoption during the course of the evening. Over the last decade the Alliance and its community partners have saved the lives of more than 250,000 cats and dogs. For more information, visit www.AnimalAllianceNYC.org.